While heading towards Penang’s Time Square something caught my eye. 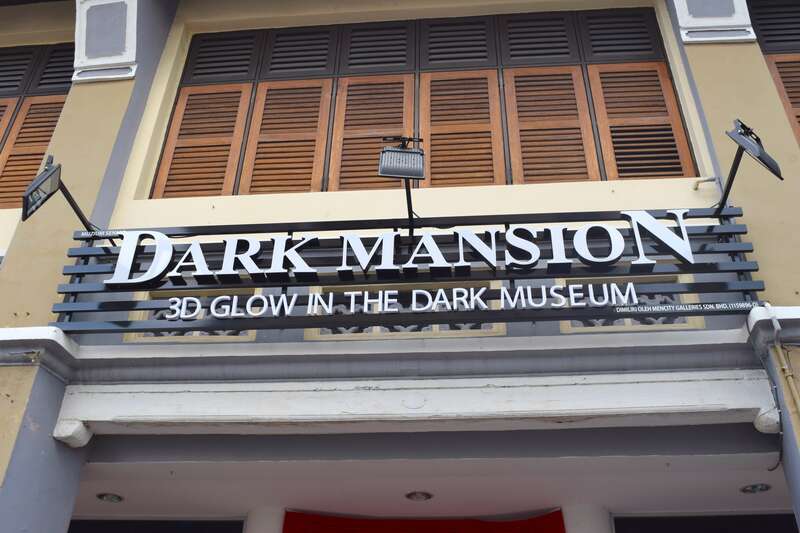 Dark Mansion: 3D Glow in the Dark Museum. What on earth is that?! My curiosity and love of quirky things led me to check this out. 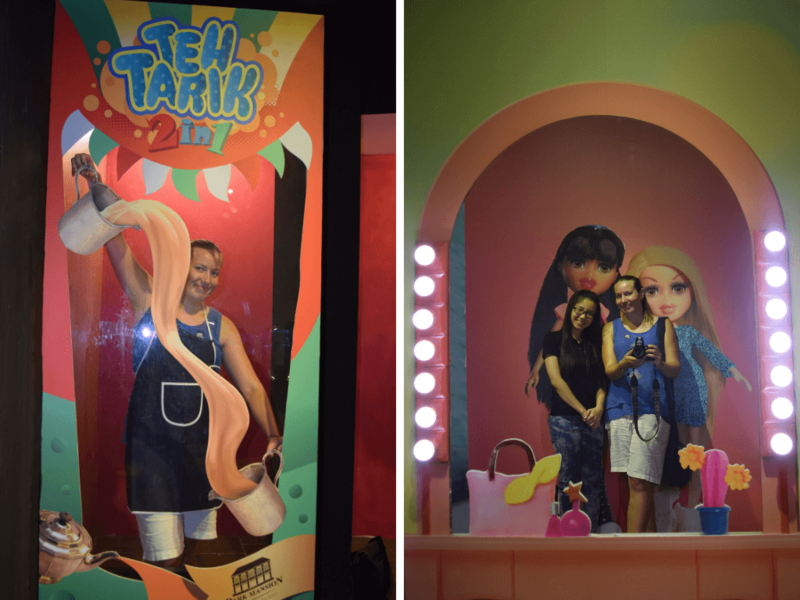 As it turns out this is Penang’s newest museum and had only been open 2 weeks when I visited in June 2016. No wonder I hadn’t heard anyone mention it! I wasn’t sure what to expect but I bought myself a ticket and went inside. What I liked about this museum is they have a staff member come with you to explain everything and best of all, take pictures. This is especially nice for those traveling alone! The girl I had was very sweet and took some great pictures. She clearly knew what she was doing as she was always suggesting poses. The first floor was filled with art work that brought me back to my childhood. 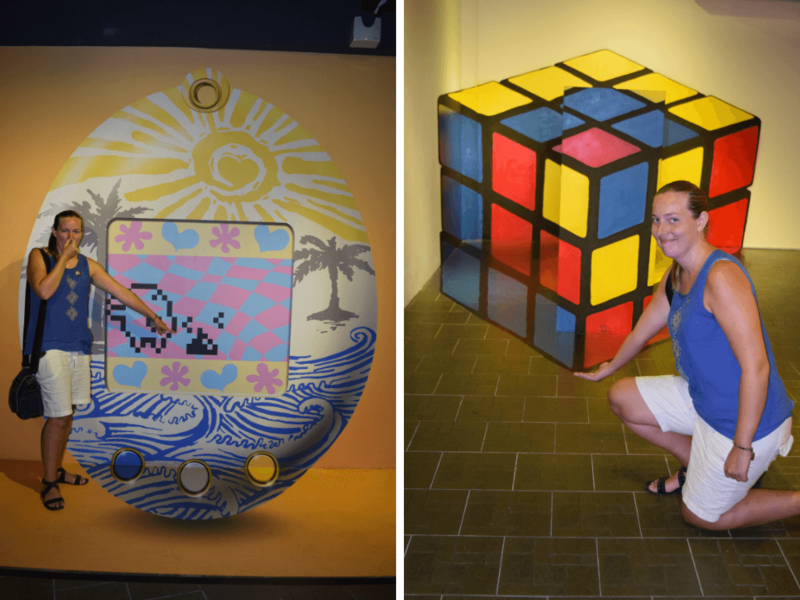 The floor is full of paintings that anyone who grew up in the 80s will appreciate from a tamagotchi, to a rubik’s cube and even trolls. I especially loved the fact that there was a Malaysian twist to some of the paintings. With props provided for certain paintings it’s guaranteed fun for all the family. My favourite feature is the arrows on the floor which show guests the best position and angle to get the best pictures. 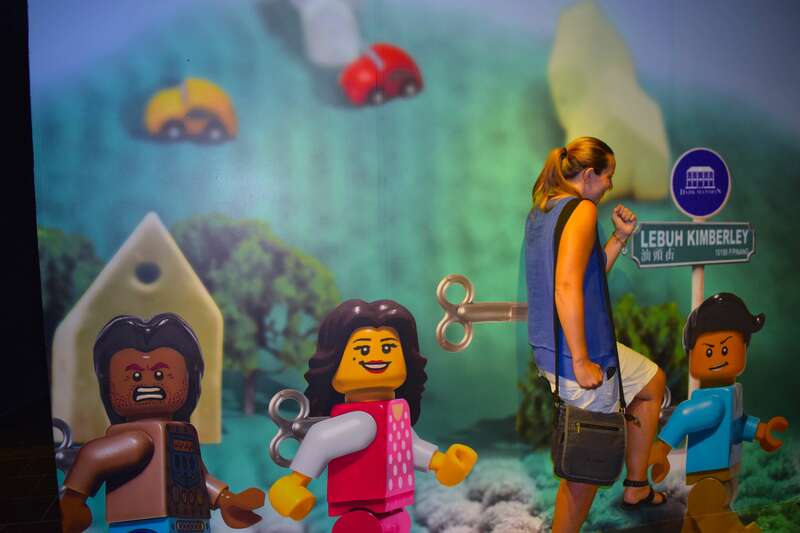 That plus your guide suggesting fun poses, you will walk away with amazing pictures. My guide was also more than willing to have a picture with me which I was very grateful for. After we had finished playing games on the ground floor it was time to head upstairs where the paintings transition between day and night. 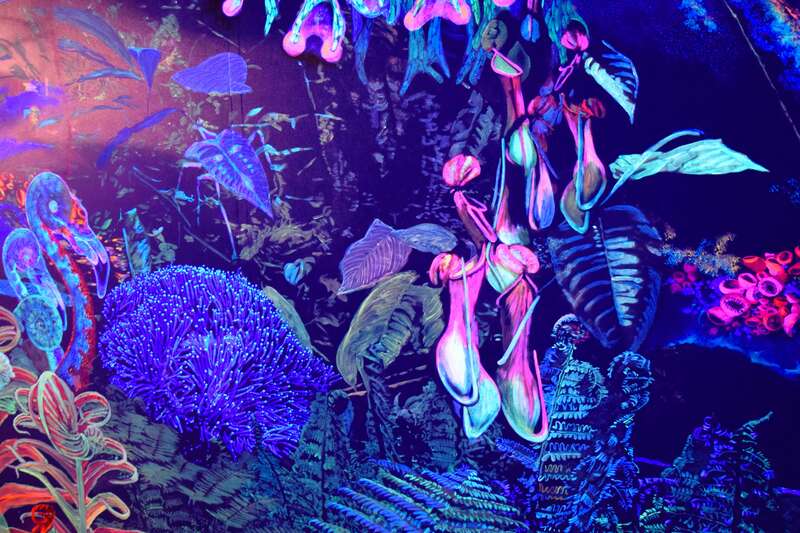 First up was the enchanting tropical forest. I’ve never been in a museum like this before. 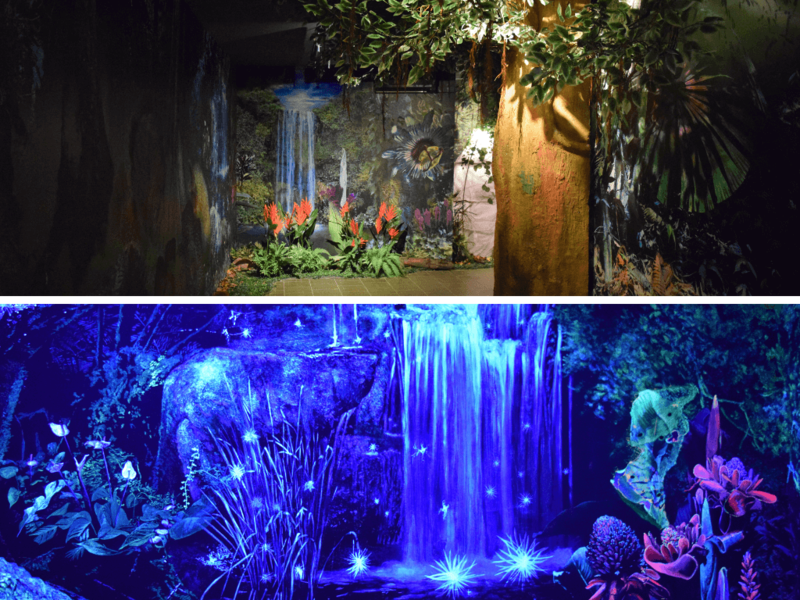 The walls were covered in beautiful paintings to make it look like a mystical forest, with the lights changing to show morning, evening and night using the uv lighting. It was magical and truly draws you in. What I loved about my tour around the forest was that my very helpful guide was explaining what all the plants and animals were. As someone who is not from this area this was incredibly appreciated information. Next up after the forest I got to be a glow in the dark mermaid. This was awesome! I have a weird obsession with mermaids. Probably from watching The Little Mermaid too many times as a child! 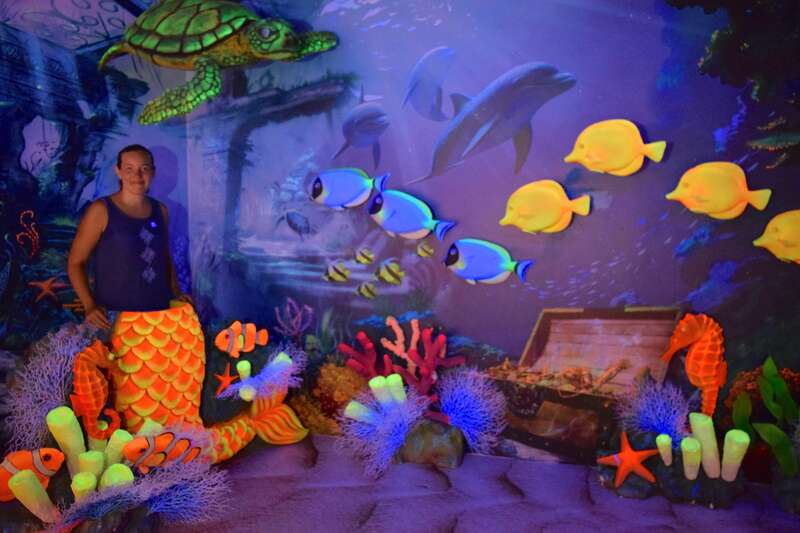 Once I had finished pretending to be a beautiful mermaid it was time for the main attraction. 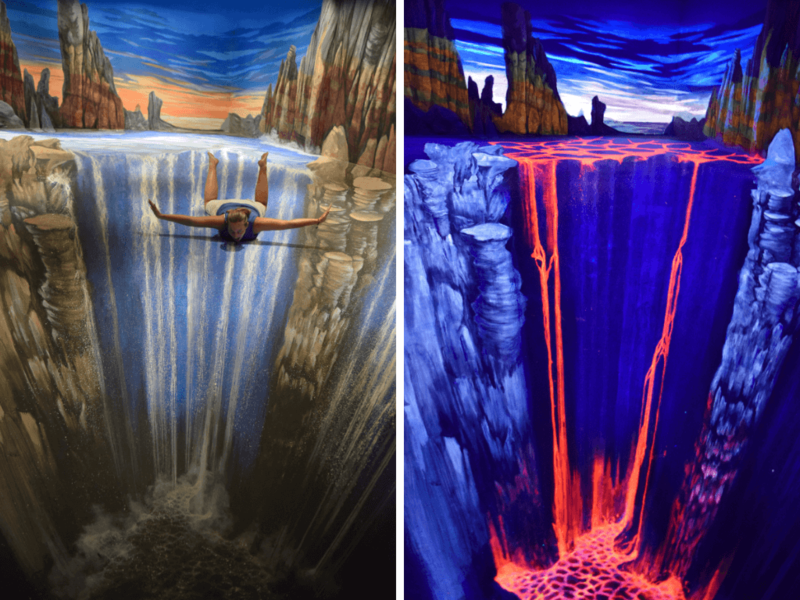 ‘Fire and Water: Tribute to Darwin’ was created by top street painter Edgar Mueller. 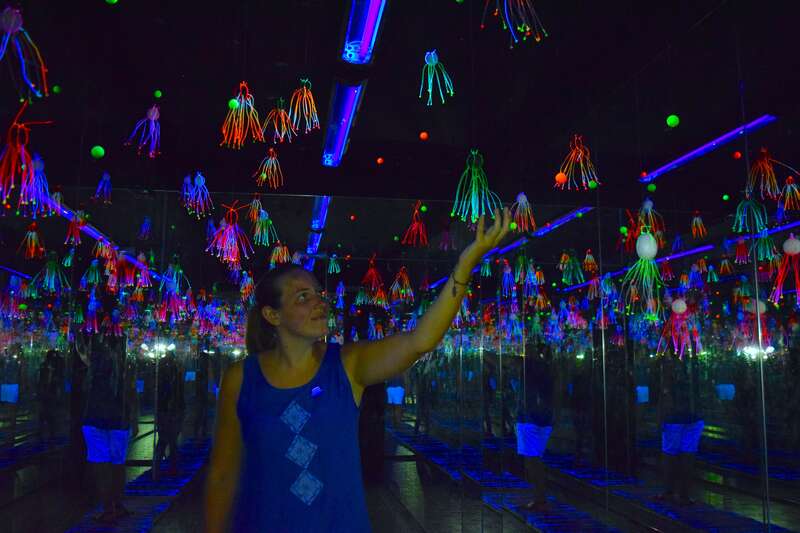 The museum is currently sending a proposal to the Guinness World Records to get the painting recognised as the world’s first and largest anamorphic glow in the dark floor painting. The painting is just stunning. I was staring at it mesmerised when I got asked if I wanted to pose in the painting. I couldn’t believe you could actually walk over this masterpiece! I’m so happy it was allowed as the pictures look amazing. There are more magical paintings to see but I’ll leave some things as a surprise. 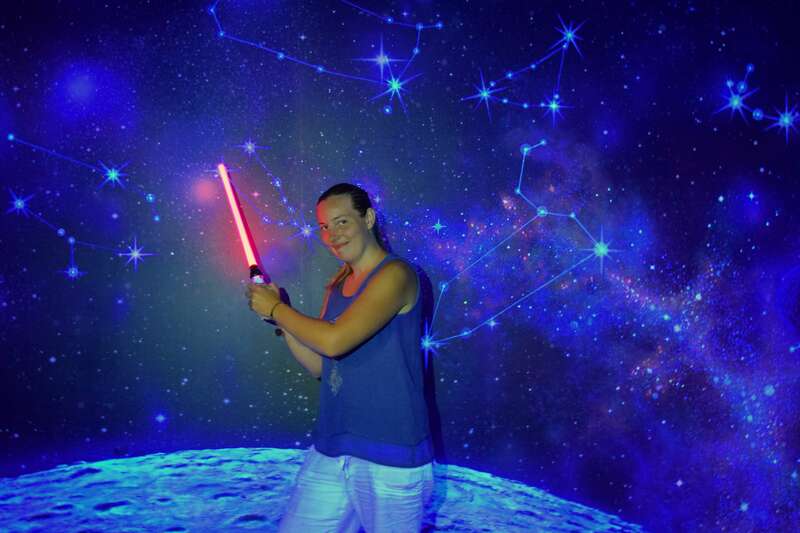 All I will say is this was by far the best museum I have ever visited. It was fun, educational and I can’t thank my guide enough for making it an experience I will never forget. 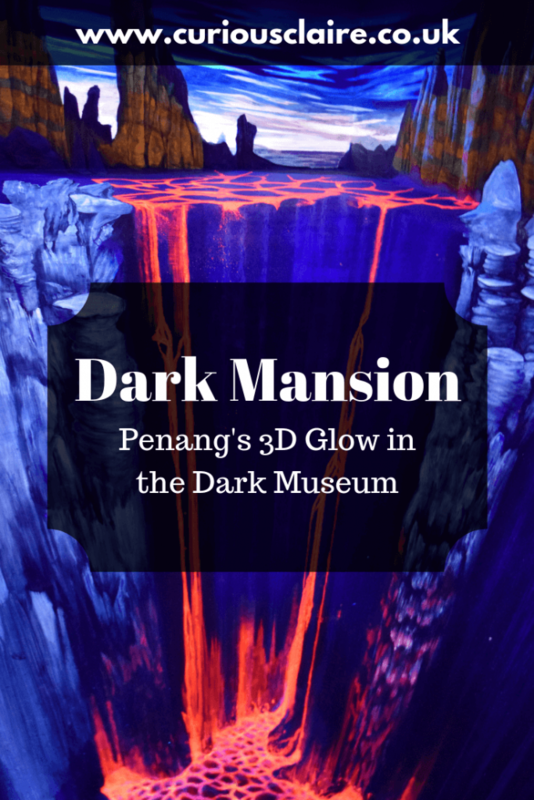 If you’re in Penang I hope you will visit. The price is RM25 for foreigners and just RM18 for locals. That’s only £4.30 (or €5.40) for my ticket making it very good value for money. If you want to find out more about this awesome museum head over to their website. 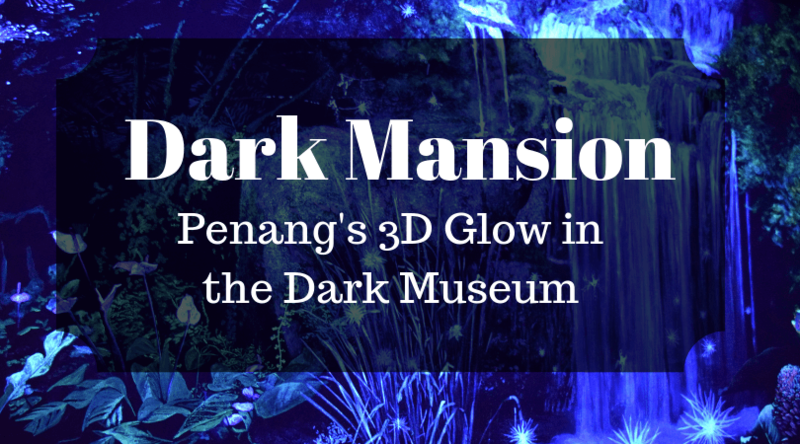 I’m so happy to have accidentally walked past this museum as it was one of the highlights of my visit to Penang.